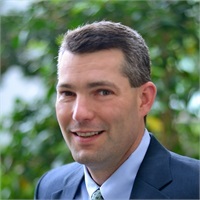 Andrew E. Petrone | Petrone Associates, Inc.
Andy joined Petrone Associates, Inc. in 1997. Prior to joining Petrone Associates, Andy served as Project Manager for the New Brunswick Development Corporation and as an officer of the New Jersey Committee for Economic Growth. Andy is a member of the Eastern Monmouth Area Chamber of Commerce and the National Association of Insurance and Financial Advisors. Andy has been recognized seven separate times by Guardian as a Leaders Club qualifier. In addition, Andy has sponsored numerous seminars for Certified Public Accountants in the areas of insurance, retirement plans, and tax law changes. Andy’s planning areas include insurance, mutual funds, variable annuities, employee benefits, and retirement plans. He is a graduate of Lafayette College. Andy lives in Little Silver, NJ with his wife and their three children.